Without hosting, no one can see your website. To get your website online, you need to marry up your Dating Pro hosting with a domain name and then upload your content. 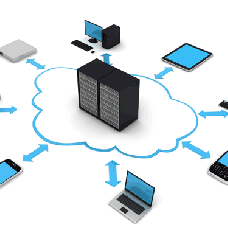 We offer high-quality hosting services. All servers meet product system requirements so you needn't worry about anything. Regardless of the hosting plan you choose, you will receive around-the-clock service and support, 1-click setup, generous storage & bandwidth, easy, on-the-fly resource upgrades. We have resources – CPU, memory, entry processes, I/O – at the ready for when you need them (we'll alert you when you're close.) Or you can really stay on top of things through our robust stats dashboard. Either way, levelling up is a one-click affair. Once you purchase a Web hosting plan, GoDaddy stores your site on one of the servers and assigns it a unique DNS. The DNS serves as the address that allows people around the world to find and view your website. This unique address is required in order for people to view your site. By purchasing a website hosting package, you're basically buying space on one of the servers. It’s similar to the space on a computer’s hard drive, but the server allows your website’s files to be accessed from anywhere.